Two years ago I started writing a book, today I am excited to tell the world about it. I was fascinated with what set successful musicians in today’s music industry apart from those with talent but no music career in their future. Research for the book had me taking a serious look at successful musicians and artists through to CEO’s, athletes and the world of neuroscience. Although it will be officially released in late January I would love you to take a sneak peek by clicking here. 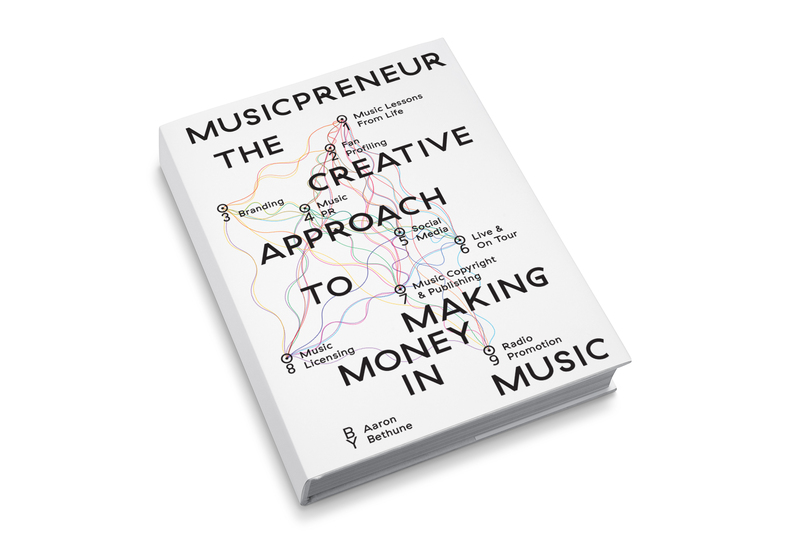 Musicpreneur connects the dots between music and business. With a healthy dose of creativity, it provides the tools, knowledge, mindset and approach for you to get heard above the noise and build a successful career in music. Aaron Bethune. Music specialist. Creative Collaborator. Musicpreneur.